Lightweight yoga shorts with drawstring in the waistband. This elastic short moves smoothly with you, is quick drying and super absorbent. Perfect for Bikram or Hot yoga! The perfect bikram or hot yoga shorts! With the strings on the side you can determine the length of the short yourself. These lightweight shorts fit very well, stretch easily with the body, and are very absorbent. Classic fit yoga shorts with high waist. By folding the waist band you can also wear the shorts on the hip. Adjust the fit according to meet your comfort level, loose or tight it’s up to you! The Cross Back top features full coverage in front and thin straps that cross in the back. Great sypport with a beautiful open back - the Buzios top combines a high neckline with a beautiful strappy detail on the back. The top has removable pads for extra support and is made with sturdy, stretchy material which is also fully biodegradable! 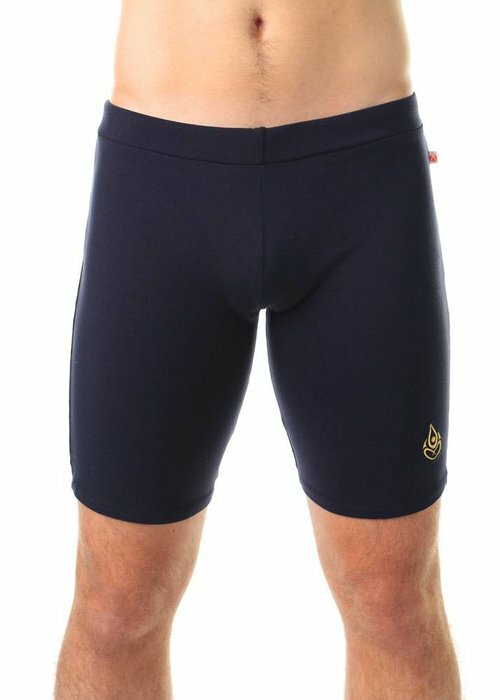 With more coverage compared to the Brazilian shorts this short is perfect if you appreciate a form fitting short that doesn’t limit flexibility and doesn’t absorb excess moisture, but don't want to show of a whole lot of thigh. Eco-friendly, comfy, and on trend - the Gavea top with high neckline and wide cut armholes offers the best of all this! This short yoga top fits wonderfully on the body and offers good freedom of movement and coverage in all yoga postures. The Paraty Top is a yoga bra with elegant v-neck and a unique open back. Study, elastic fabric and built-in pads provide the necessary support. This lightweight top with slim fit is made of elastic fabric with light compression. With double shoulder straps that cross on the back for extra support. Nice short yoga top with an open back. The Ellie top is made of a very elastic compression material and therefore offers a lot of support and a secure feeling. This sturdy short yoga top offers good support and is equipped with removable cups. The material is lightweight and quick-drying and great for Hot or Bikram yoga.